One of the most fascinating and potential-laden elements of procurement is the way these departments hinge on relationships and communication as much as they rely on hard data. The supply chain connections that keep companies stocked with goods and materials have a twofold nature, with ongoing negotiations fueling ever-better and more productive contracts and agreements that evolve over time. The present, data-driven era of business operations doesn't have to signal the death of human collaboration in sourcing. Instead, companies simply have to find ways to fuel their ongoing contracts with insights from their automatic information gathering while not neglecting to speak with their partner organizations. In a time where quick changes in agreements are possible, loyalty and extended partnerships still have purpose and potential value for organizations that seek them out. Companies don't have to think in short-term blips. If organizations procure goods and services from the right partners, they can align their strategies and drive lasting value. Customer Think recently published a conversation between Blue Ocean Contact Centers' Mike Hasler and St. Michael's Hospital sourcing executive Peter Longo which delved into the complex relationships within the supply chain, as well as the strategic benefits that can come from optimizing these agreements. Longo suggested, for instance, that when vetting new vendors, companies should make sure the chosen organizations have unique benefits within their spaces. Suppliers that can easily differentiate themselves and add value over time are more potentially useful than those that offer slightly better pricing in the near-term but aren't as distinctive. Great suppliers are committed problem-solvers, according to Longo. Instead of just being dictated to, these firms come to the table with suggestions and ideas about how they can work better with buyers in the future. Vendors that deal with issues and problems head-on have an edge on those that are simply concerned with getting up to baseline standards. True collaboration over time can bring lasting value to both parties, and such relationships are available if companies seek them out. Big progress can come from collaboration. Businesses seeking to revolutionize their markets need especially close ties to their supplier communities. After all, these organizations are hoping to accomplish feats that haven't been achieved before, and may be asking a lot of their partners. Strategic alignment in such situations is essential. Supply Chain Dive contributor Swarna Rao of The Smart Cube suggested that when supply chain partners collaborate over a long period of time, the firms are more attuned to one another, and when customized needs come up, they'll be easier to address. 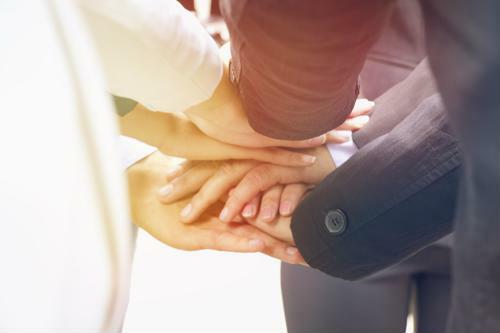 Furthermore, companies that optimize their collaboration with external partners may find the benefits have also improved their internal operations. Rao stated that multiple departments within companies must become part of the same team to deal with suppliers on innovative products. Those sections may find it easier to communicate with one another, aligning their goals and strengthening communication channels. The project will move ahead with both inside and outside teams pushing for the same innovative goals. While it's possible to change supply chain partners quickly today, there are advantages for those that take time to deepen arrangements.